I recognized the mirror match instantly, and immediately felt the pressure, telling my girlfriend who was reading next to me, “Well… I guess I’d better win this match.” She expressed her support and went back to her book. Collective Brutality worked against me like a charm, though he did (somehow) manage to unluckily whiff on the escalate to take an instant or sorcery. My opening hand was a bit odd, and I probably should have thrown it back, but there was some interaction and a Deathrite Shaman so… why not? 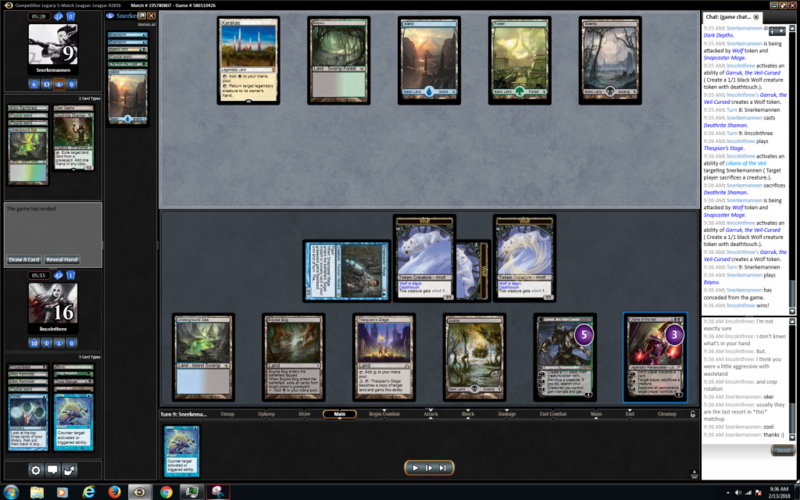 I drew into double Hymn to Tourach to keep him from going crazy, but was working with two pain-lands against my life total. 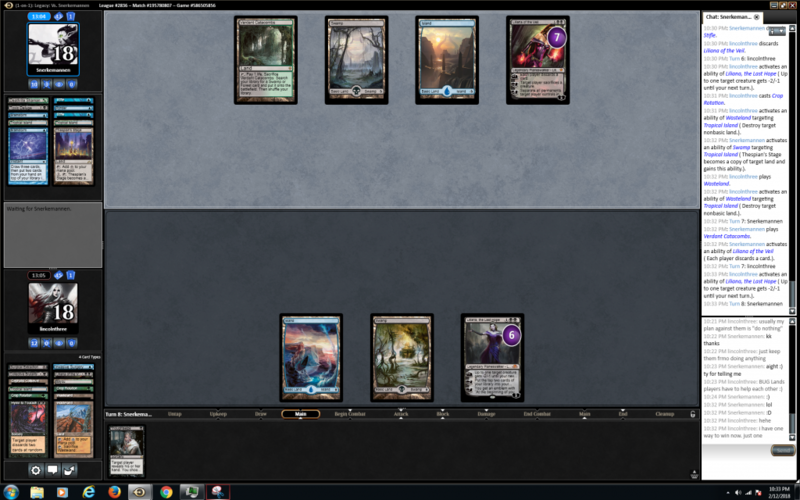 I almost stabilized again, but Liliana was ticked up pretty high and I was 99% going to lose this game. It wasn’t worth running down the clock, so I opted for another chance with game three. This game went a bit more to plan, with another awkward hand that promised just enough interaction to prevent dying, land something, and win. It worked. 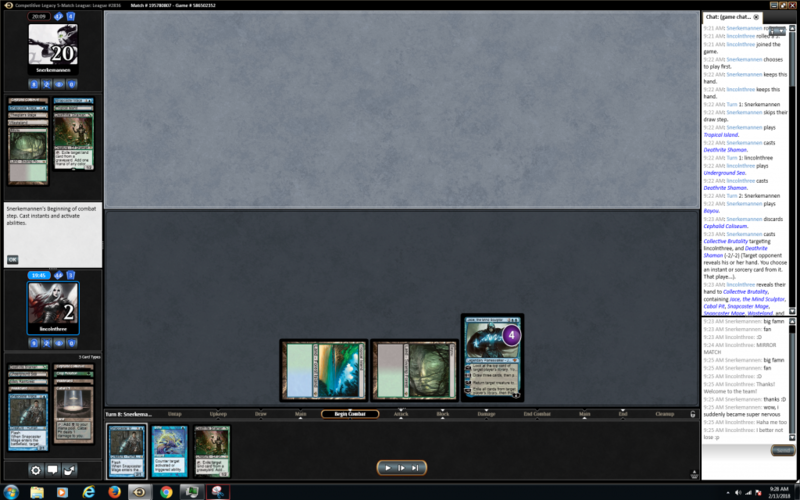 I started off with a turn-one Thoughtseize to reveal a similarly awkward (but solid) hand. 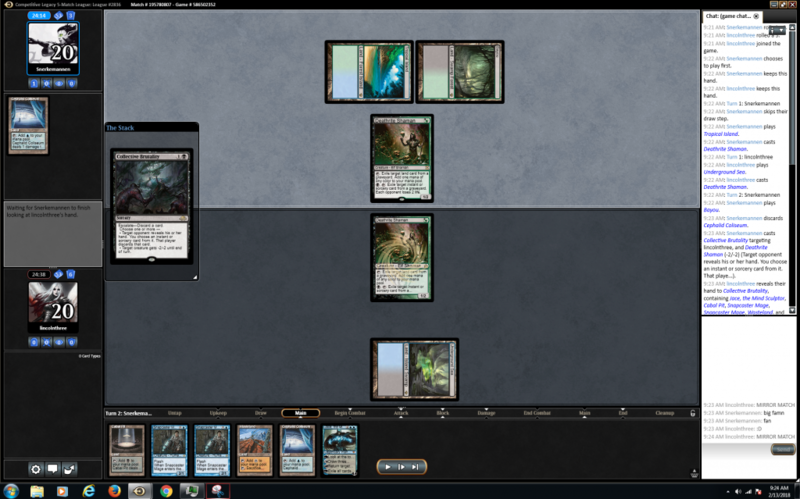 My plan was to stall and then land Garruk Relentless to grind out a win. 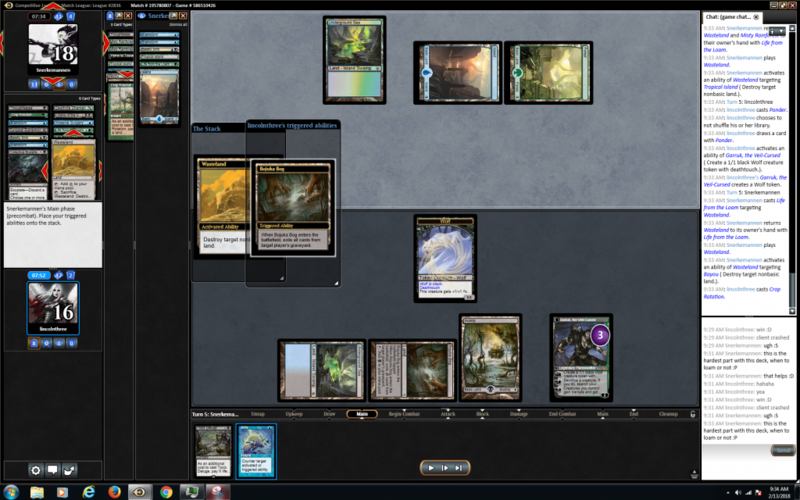 By turn four, I’d cast Hymn to Tourach, resolved Garruk and killed a Deathrite Shaman to flip. The game was fairly set from there on out. Keep him from blowing me out with Marit Lage and everything would be fine – it was. Thanks for the great games, Eirik, and keep testing with the deck! Eirik also inspired me to set up a Facebook group for “Baxter BUG” or “BUG Control Lands”, so… here it is.